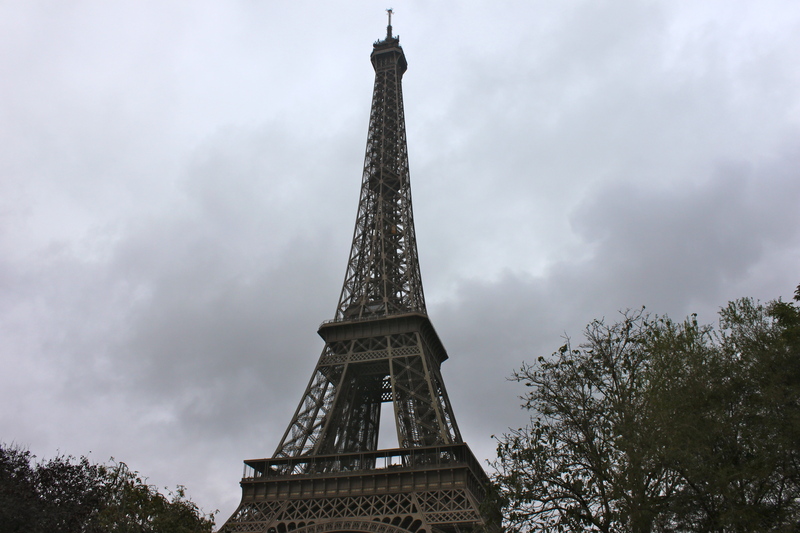 I cannot think of another building or structure that is more symbolic of Paris than the Eiffel Tower: it’s named after its creator the engineer Gustave Eiffel. Built as an entrance archway to the 1889 World Trade Fair and to celebrate the centenary of the 1789 revolution, the original plan was that the tower would be a temporary structure to be demolished when its twenty year building permit expired. Still standing proud in the twenty-first century it’s a magnificent sight especially at night when every hour on the hour the 20,000 light bulbs, attached to it to celebrate the millennium, twinkle magnificently. I arrived at Paris’s Charles de Gaulle airport early yesterday morning and took one of Les Cars de Air France (air coaches) into the centre of the city. Traffic was unusually heavy so the bus inched its way towards the terminus at Étoile (Arc de Triomphe). I only had a small case in tow so as it was a mild day and I know Paris fairly well I decided to walk the rest of the way rather than wait for a taxi. I headed off down the Champs-Elysées, glancing in shop windows as I sauntered along and stopping for a coffee in the Nespresso café at the back of their Champs-Elysées store. I then strolled up the Avenue George V and crossed the Seine at the Pont de l’Alma to arrive in the seventh arrondissement where I am staying. By the time I had checked into my hotel and had a light lunch at a local café it was almost two o’clock. Fortunately the shops open late in Paris so I had lots of time to have a look around my favourite Parisian department store Le Bon Marché; there are branches of Agnes B, Jamin Peuch and APC close to Le Bon Marché so I was easily able to hop from one to the other. I also had time to visit an exhibition at Paris’s smallest museum (more about the exhibition in a later post).